Siemens Canada, the subsidiary of Germany-based Siemens AG, has been building up its presence in this country since 1912. It received its federal charter to operate 100 years ago, the same year the first Calgary Stampede was held. The company maintains a diverse portfolio ranging from energy to health care, but has been particularly active in Canada’s clean technology sector over the past year, led by its $440-million takeover of Vaughan, Ont.-based success story RuggedCom. Robert Hardt, chief executive of Siemens Canada, said the company is constantly monitoring developments on the domestic cleantech scene. 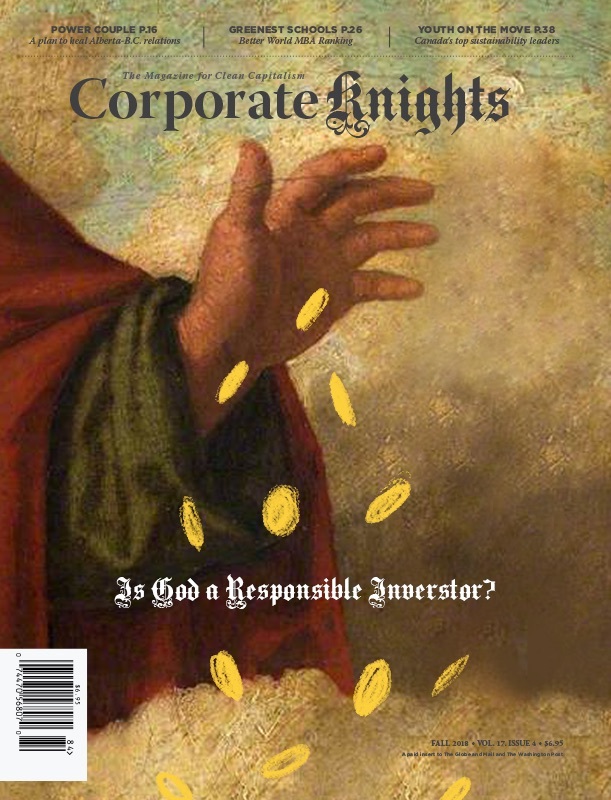 “It’s vital for us to have this network in place where we have an ongoing dialogue with these fast-growing companies to stay constantly informed of their activities,” he told Corporate Knightsin an interview. “We can then decide the optimal time to enter into a partnership or, to take it a step further, an acquisition.” Siemens sees smaller start-ups as especially valuable because of their ability to quickly bring new, innovative products to market. With its established global distribution network, it can harness these products and introduce them to a broader audience. Always looking to stay competitive with GE and other large corporations that are leading the market for smart grid technology, Siemens had been keeping a watchful eye as RuggedCom grew to be the world leader in rugged communications networking technology. When St. Louis, Miss.-based networking and cable maker Belden launched a hostile bid last December with a low-ball offer of $280 million, Siemens was ready to step in as a white knight. It eventually offered a 142 per cent premium on RuggedCom’s share price, and received unanimous board approval. The company not only promises to preserve the RuggedCom brand, but the acquisition is expected to be the core of a worldwide centre of competence for industrial ethernet communication, strengthening the company’s roots in Ontario. The province’s highly educated workforce, as well as the potential for the Waterloo area and other nascent IT hubs to grow, means Siemens will be watchful for Canadian start-ups in the future. Its other recent Ontario investment was the $20 million it put towards a new wind turbine blade-manufacturing factory in the town of Tillsonburg. “The government of Ontario was visionary in putting forth a clear strategy which they turned into policy, and then they attracted a lot of companies like Siemens to invest in this area, which is paying off for the province,” Hardt said. While rival GE was building its new Grid IQ Innovation Centre in Markham, Ont., this year, Siemens was hammering out a landmark partnership with NB Power in New Brunswick to develop a comprehensive 10-year smart grid program for the province. Utilizing its extensive smart grid technology and software portfolio, the company will be establishing its own research centre in Fredericton. The province, currently powered by a mix of fossil fuels, nuclear, hydro and imported energy, is looking to reduce its energy peaks while guaranteeing a reliable source of energy at a low cost. The New Brunswick grid, already responsible for exporting energy to Prince Edward Island, will become strategically important in 2017 when the Lower Churchill hydroelectric project in Labrador begins generating electricity. Newfoundland and Labrador will be working to export this energy to northeastern U.S. markets through the Maritimes, ending in New Brunswick. 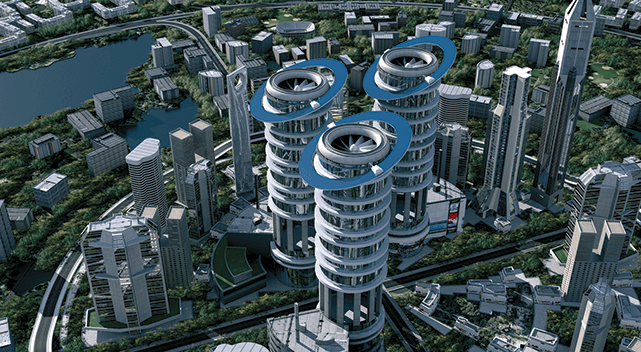 In addition to smart grid, Siemens is also enabling the development of smarter cities. As a way to advertise its smart cities software and technology, the company has produced Green City Indices in different parts of the world, bringing the model to North America last year. Hardt insisted that the goal is not to put pressure on municipalities, but rather to provide transparency and open up a discussion about making cities greener and more livable. Its Canadian urban transit portfolio has also grown beyond providing trains to Calgary and Edmonton, having recently won the contract to expand Ottawa’s light rail system. As a main competitor to Bombardier on domestic transit projects, it is also expanding its Canadian manufacturing operations to meet local content requirements often baked into bidding rules. “Local content is always a topic that we are eager to address,” he said.